The Breslau Psalter is one of the most sumptuous and lavish manuscripts from Western Poland, in an area historically known as Silesia. 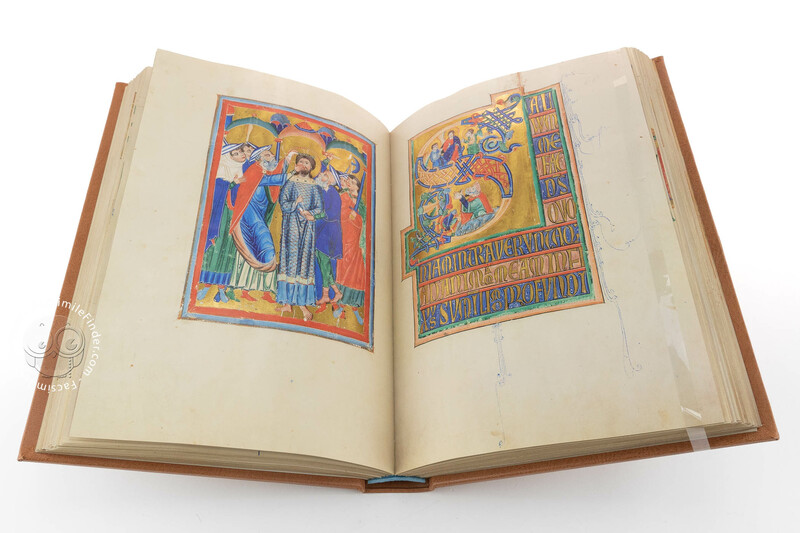 The codex was written and illuminated in the second half of the 13th century in the town of Breslau (Wrocław in Polish) and features 27 beautifully illuminated full-page miniatures, 168 small miniatures, 12 calendar pages, and 10 full-page historiated initials of superb quality. 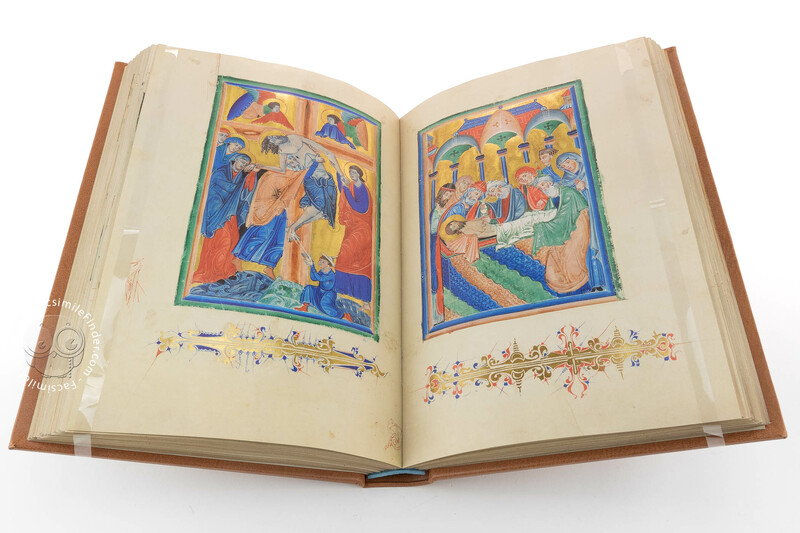 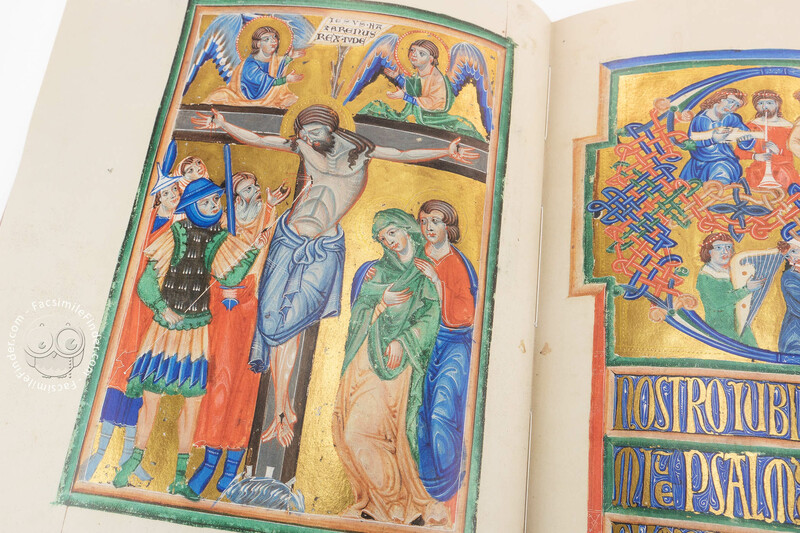 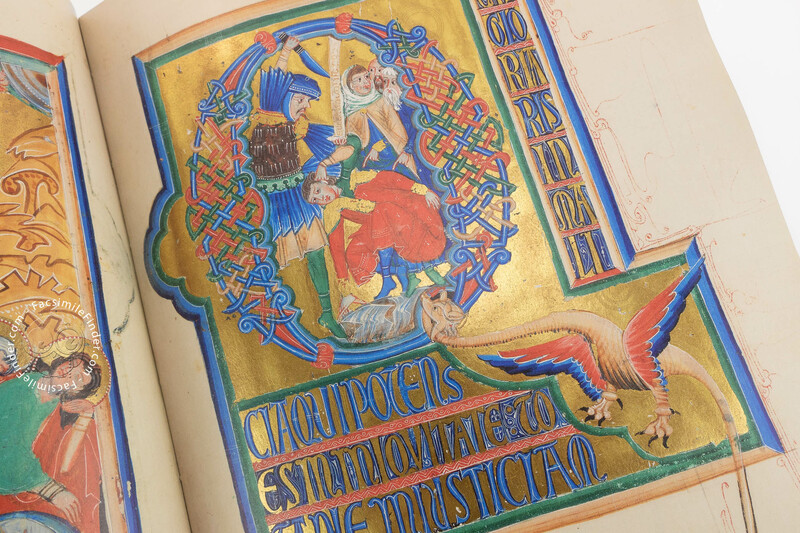 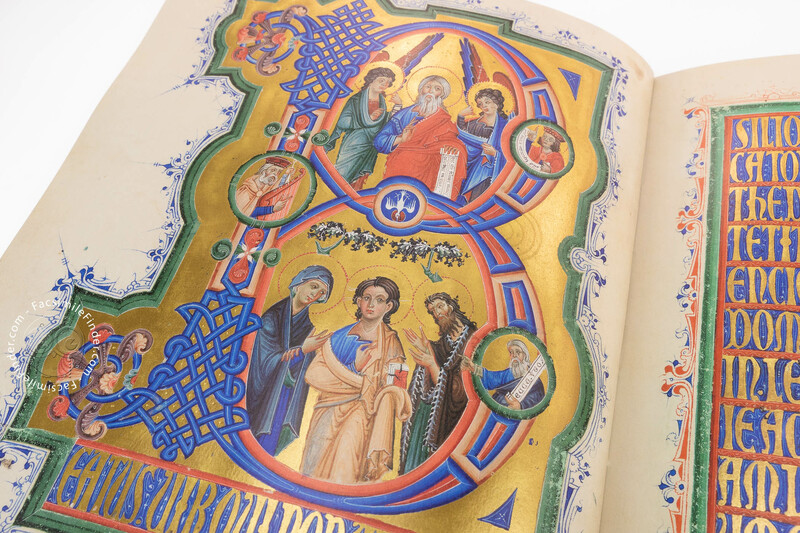 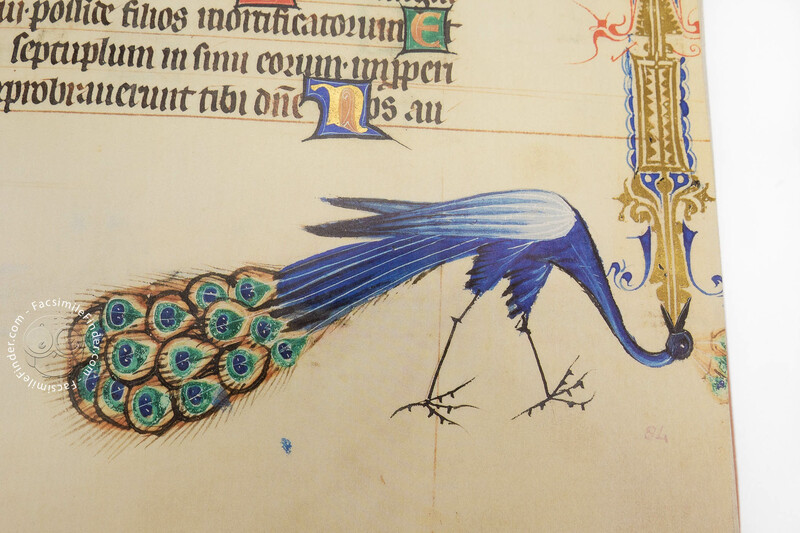 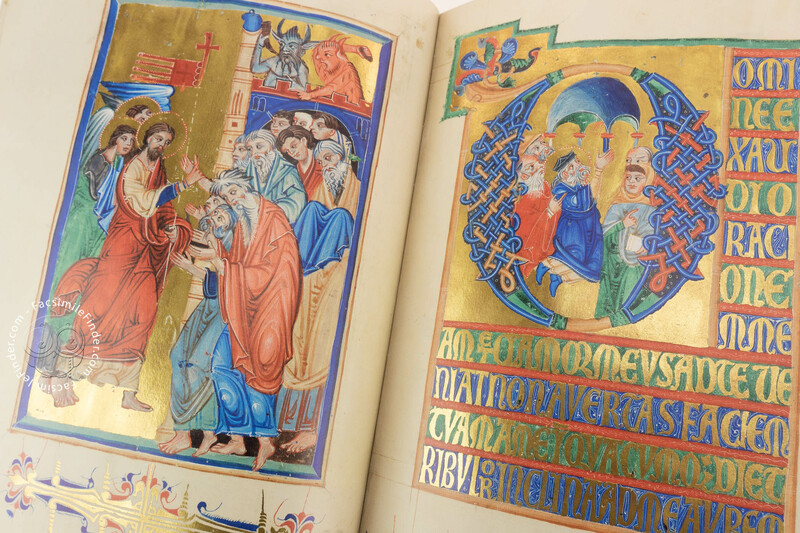 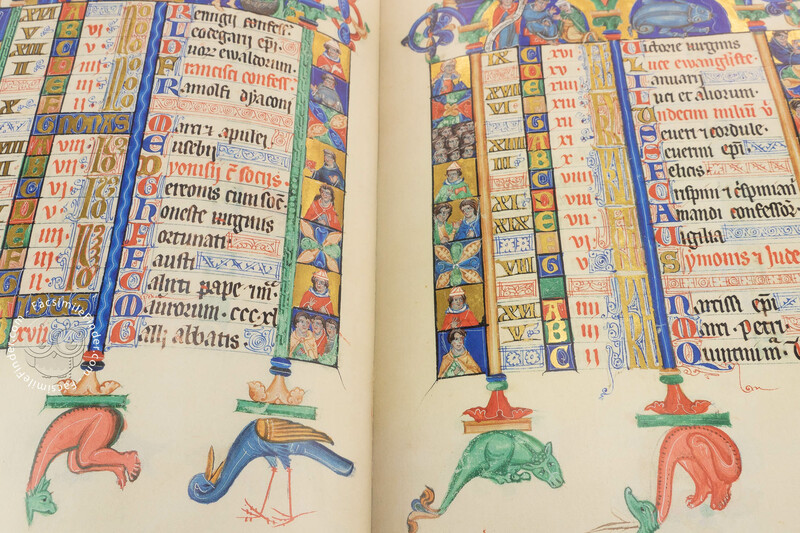 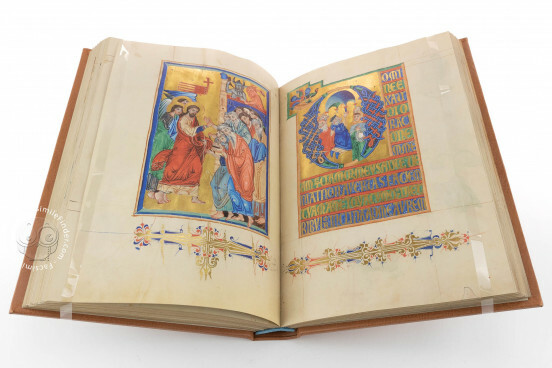 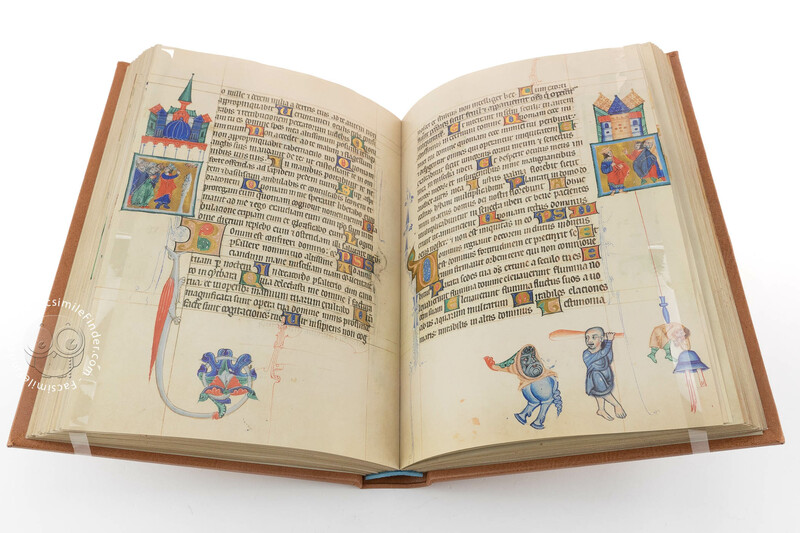 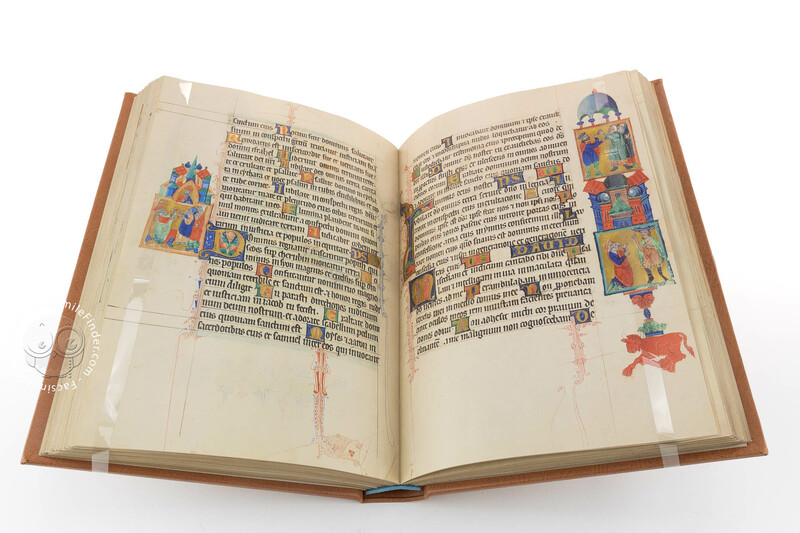 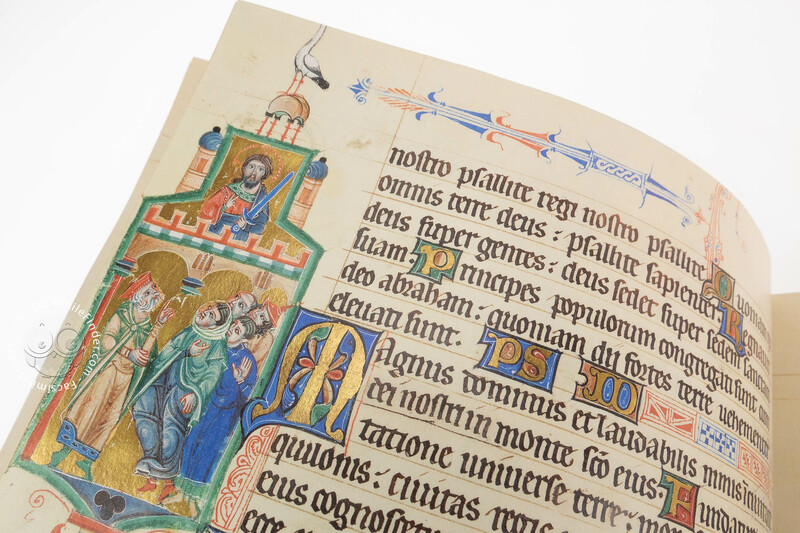 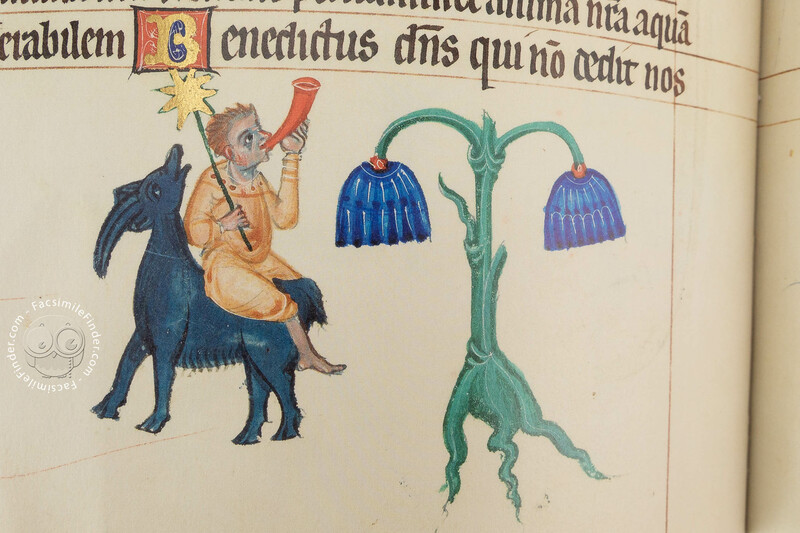 Written in Latin between 1255 and 1267, the manuscript provides a liturgical content for private or scholarly use and with its extensive imagery on every page, the manuscript was certainly designed to impress. 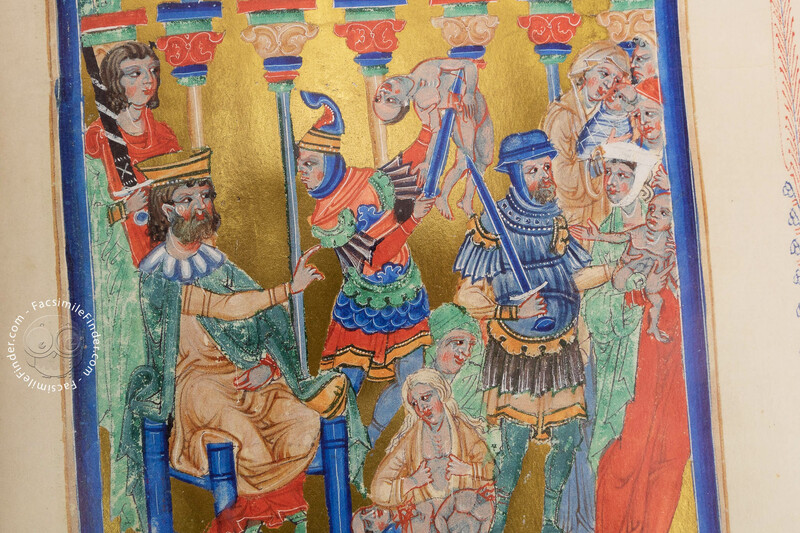 Most illustrations and decorative ornaments seem to be the work of local artists, all working in a similar style although not identical. 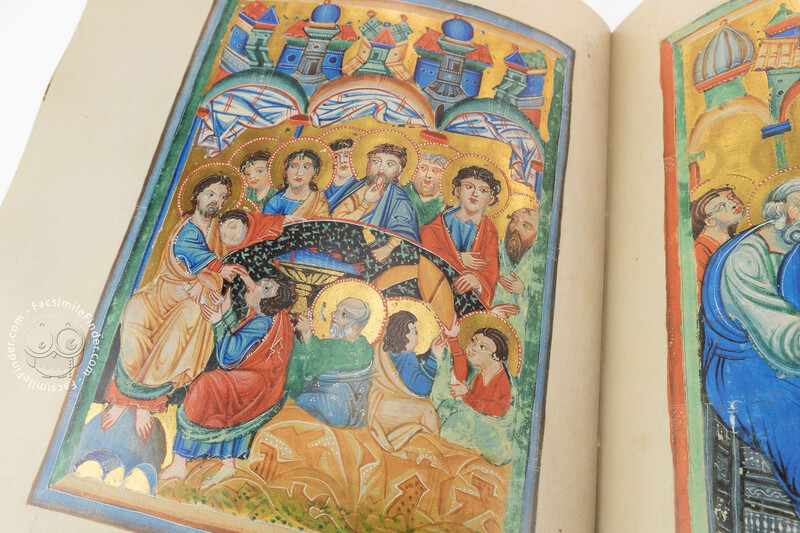 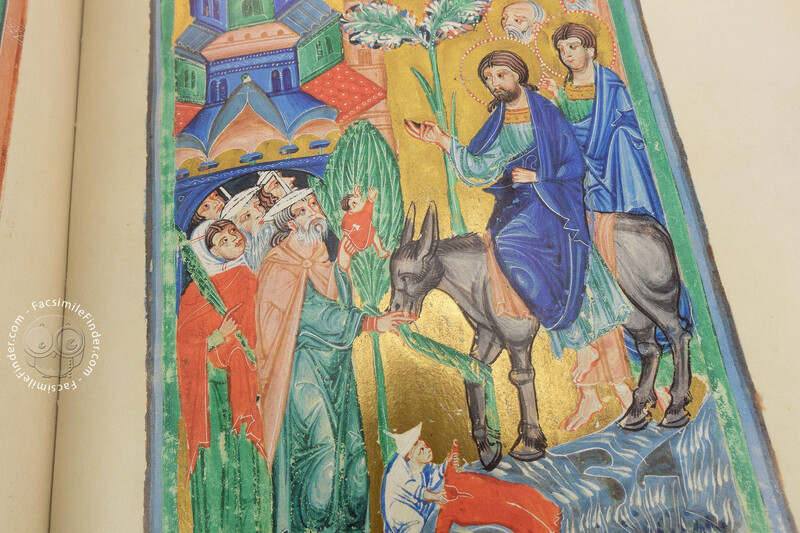 Additionally, it is worth noticing that, although the work was created in the area between Braslau and Salzburg, its imagery surprisingly features Italian style illuminations, specifically Byzantine-echoing art from Veneto. 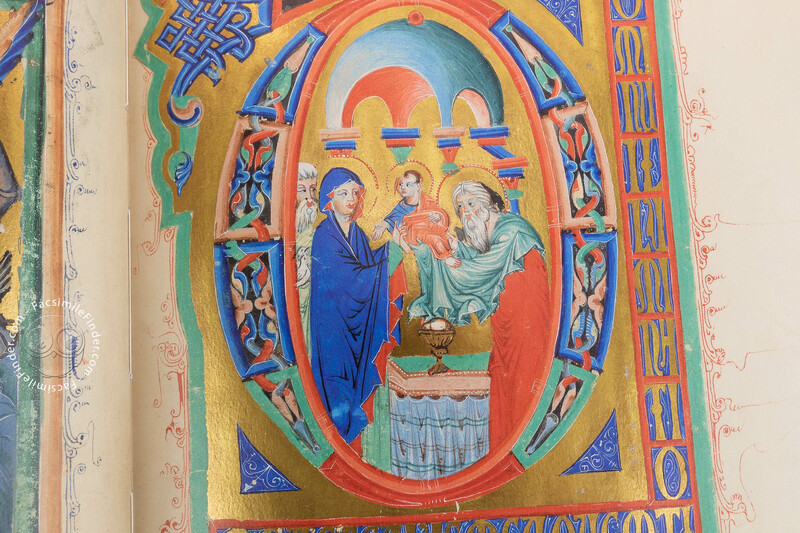 An example of such qualitatively superb artistry is the full-page initial on f. 23v which has been identified as the work of the Master of Giovanni da Gaibana, initially active in Padua and later in the north, possibly due to his association with Henry III’s brother, Vladislav who attended university in Padua. 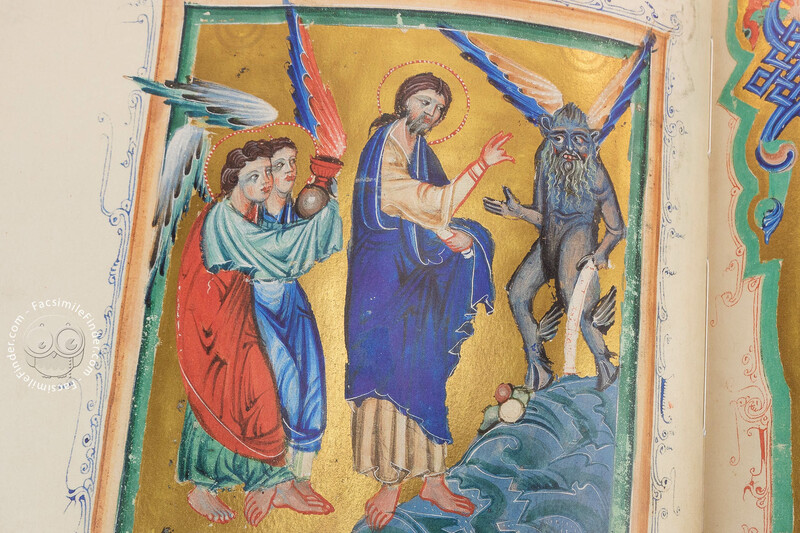 The Gaibana Master’s technique (visible in ff. 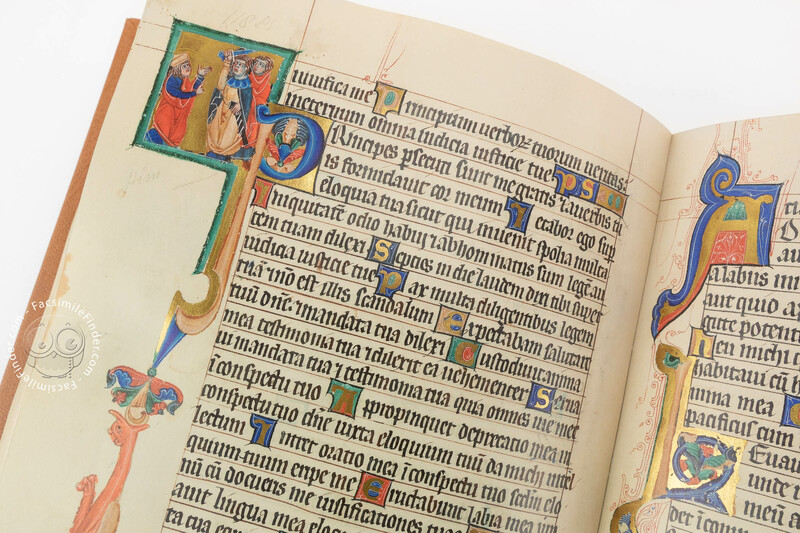 23v, 49v, 51r) features luminous and vivid colors (such as gold, red, and violet), elegantly depicted drapery, and – one of his signature designs – flowering trees. 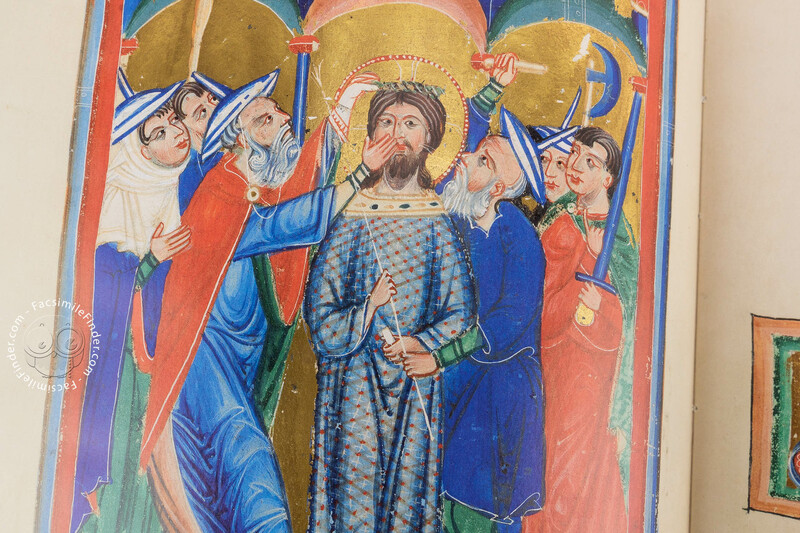 Among the Byzantine echoes of the Veneto art are the icon-like expressions. 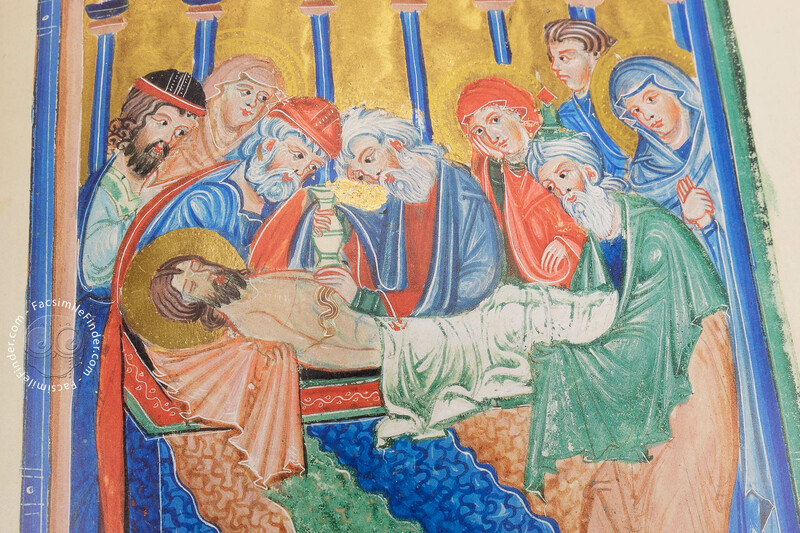 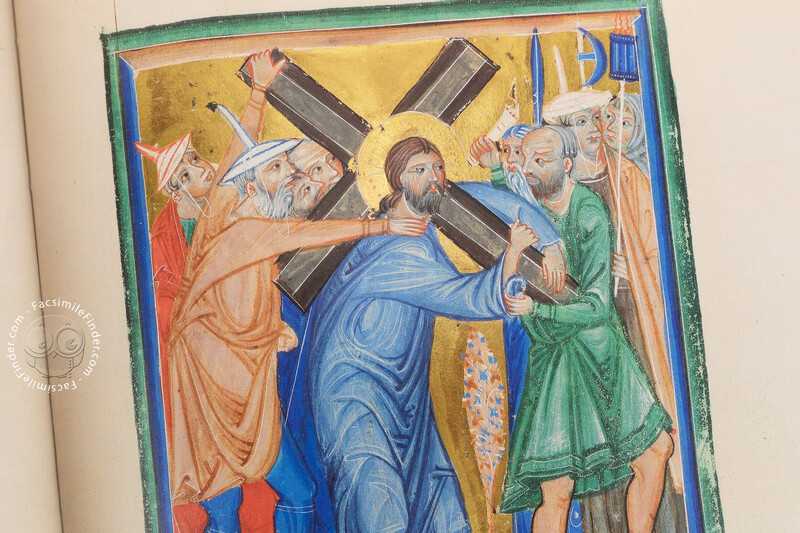 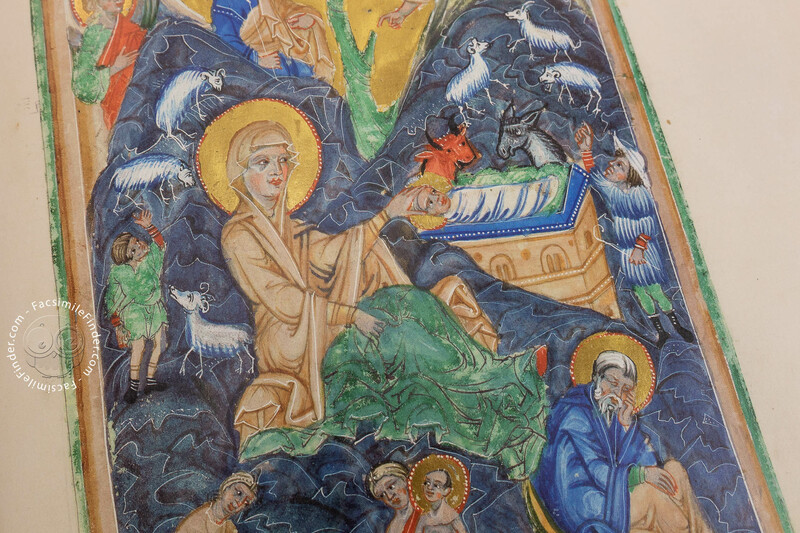 Decorated by numerous artists from Italy, Germany, and Breslau – at least seven not including their assistants – the Breslau Psalter features an extensive use of gold leaf for the miniatures’ backgrounds, shedding extra light to the image as a whole. 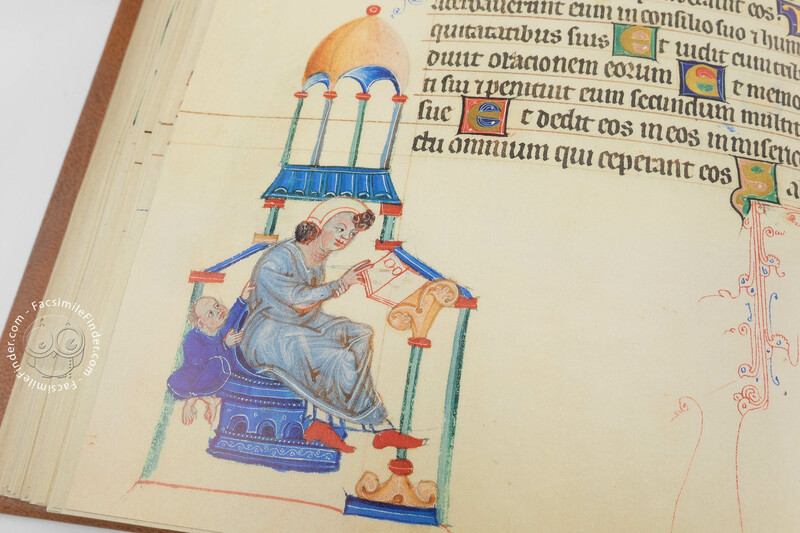 The identity of the commissioner has been ascertained as a woman in the circle of Henry III, Duke of Breslau (1248-1266). 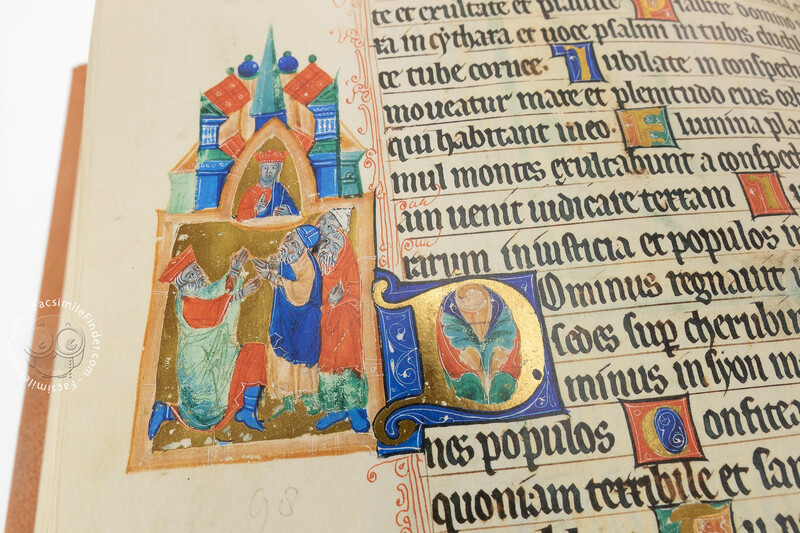 A line (accompanied by an image of the woman) in the prayer on f. 146r makes reference to this figure although it is still unclear whether it may have been Helen, daughter of Albert of Saxony and Henry’s second wife or Anna Premyslid, Henry III’s mother. 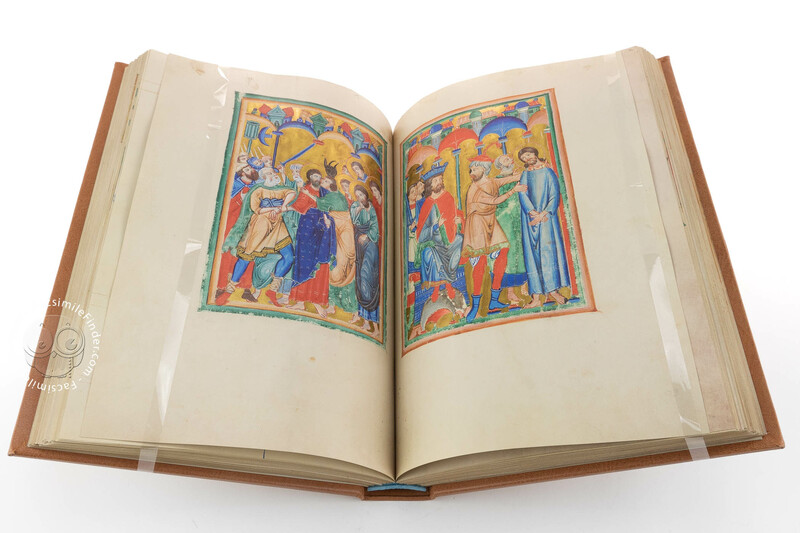 What is certain is that the Duke is here referred to as servant (famulum tuum Heinricum) of the woman which indicates a very close relationship. 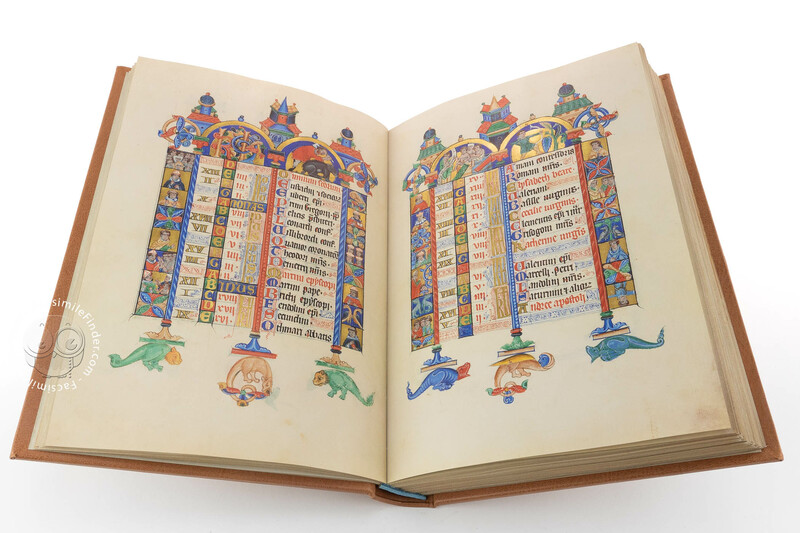 The Braslau Psalter exhibits a beautiful example of Gothic textualis featuring two forms of r and d, abbreviations, bitings, and ligatures. 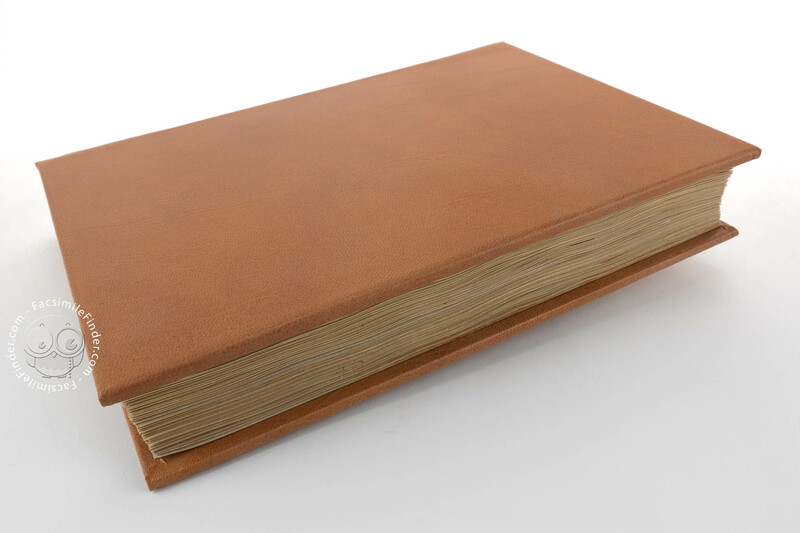 The bookhand, typical of Central Europe, is elongated and compressed, featuring several ink colors. 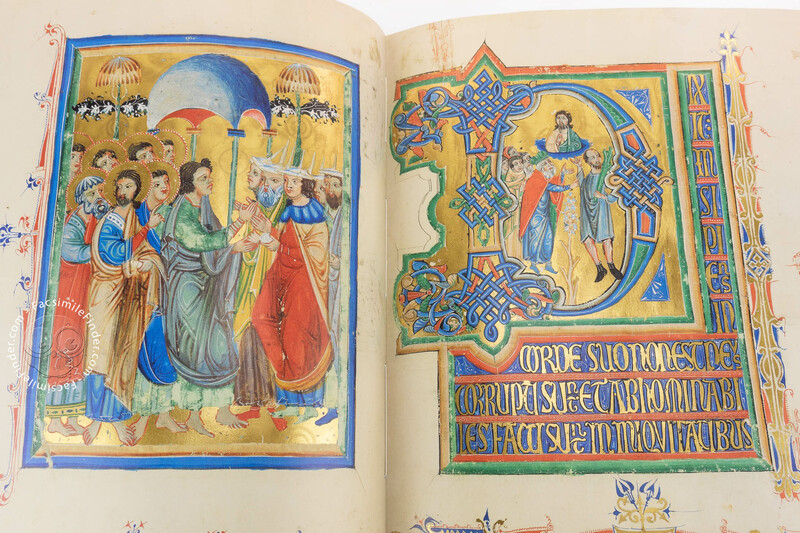 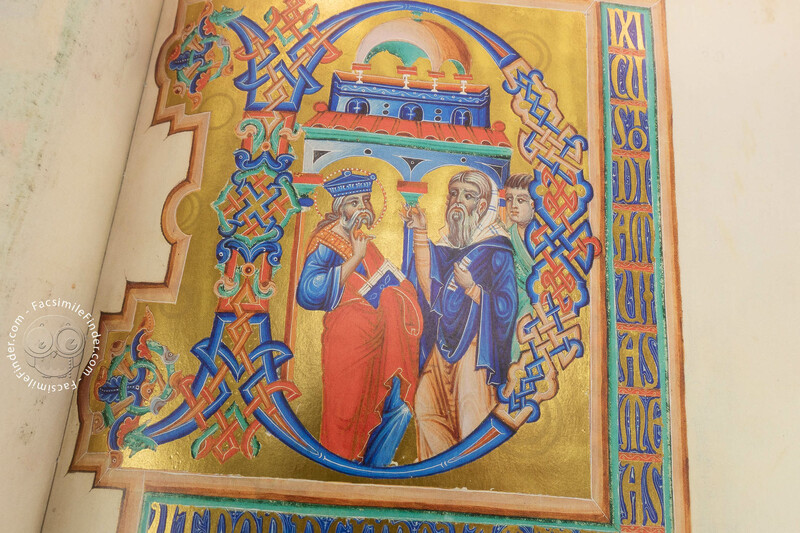 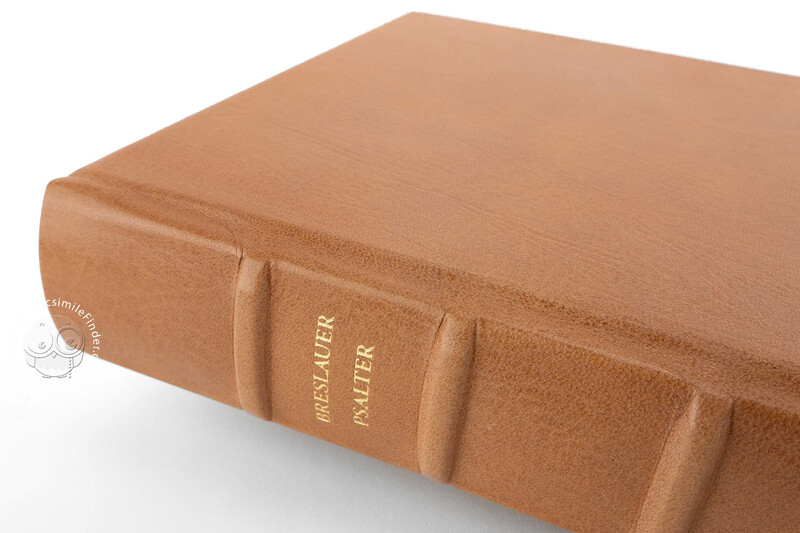 Unfortunately, like many medieval manuscripts, the Braslau Psalter is missing its previous gold binding that, according to the catalog of Ashburnham collection, was melted down. 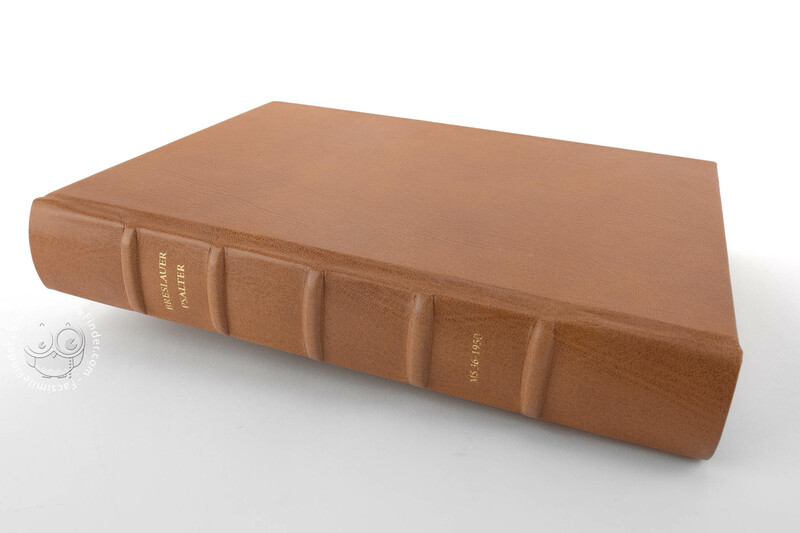 Now it's bound in a 19th-century binding, yellow morocco over wooden boards. 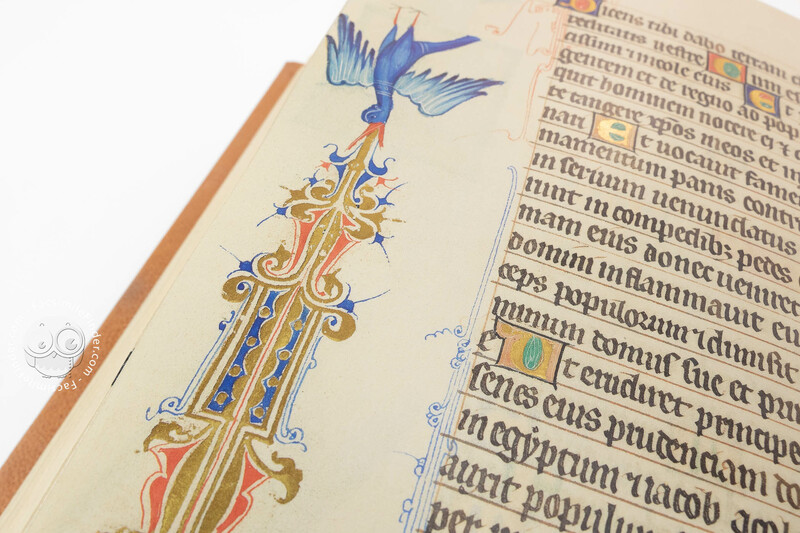 Manuscript book on parchment − 32.6 × 22.7 cm − 294 pp. 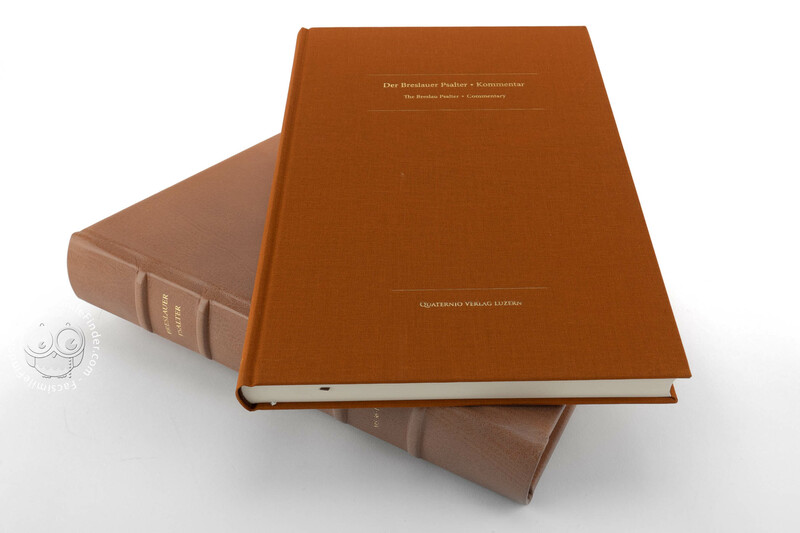 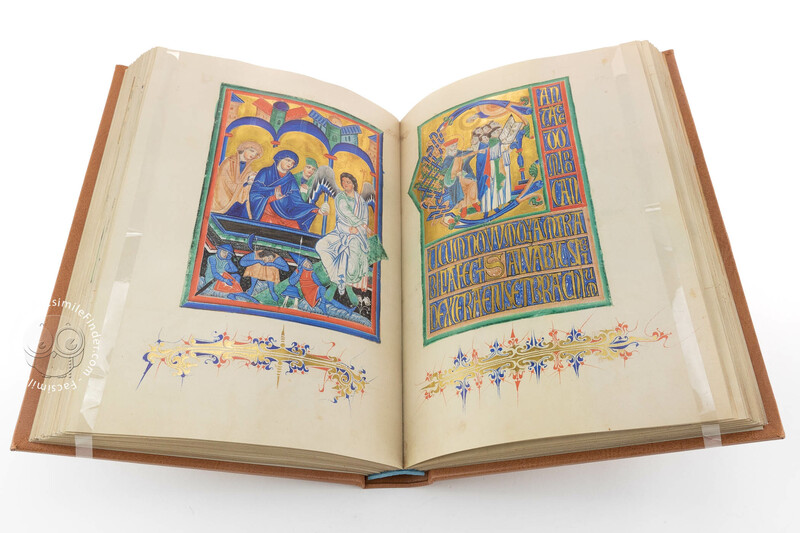 Full-size color reproduction of the entire original document, Breslau Psalter: the facsimile attempts to replicate the look-and-feel and physical features of the original document; pages are trimmed according to the original format; the binding might not be consistent with the current document binding.